As the man whose voice and style came to define pop music in the eighties and beyond, George Michael will forever be remembered as one of the all-time greats of British music. 'I WENT THROUGH A LONG PERIOD WHERE I WAS AFRAID OF DOING THINGS I WANTED TO DO, AND YOU GET YOUR COURAGE BACK, WHICH IS WHAT'S IMPORTANT' - GEORGE MICHAELBorn Georgios Kyriacos Panayiotou, George Michael was raised in a family of Greek Cypriot immigrants in North London, and dreamed of stardom when he was a little boy. At just twelve years old he met Andrew Ridgeley and the two of them went on to achieve stunning success in the early 1980s with Wham!, creating music that remains popular to this day.Yet despite the enormous success of Wham!, George wanted more, and so set about recreating himself as a serious solo artist, reaching heights of even greater success. Ironically, however, even from the early days he was plagued with insecurity about his sexuality, which, combined with the calamity of losing his first lover to AIDS and his mother to cancer, plunged him into a lifelong struggle with drug addiction. 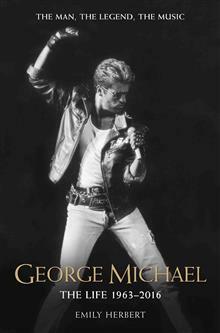 He died, at the tragically early age of just fifty three, on Christmas Day 2016.George Michael's life and career brought him international fame, and his sudden and unexpected death shocked the world. His unrivalled popularity as an artist, however, and the music he made, have turned him into one of the immortal greats of pop music. As Emily Herbert shows in this new biography, his legacy is not just his music, but his many extraordinary, and often anonymous, acts of charity.